the back page of this guide. • If your garden has a “plant select” feature, set it to the correct plant type. indicator. Do not use well or softened water. check the water level frequently and keep the bowl full. Seed pod labels identify plant height. along the sides, and Short plants in the front. place Seed Pod in any opening. • If plants are all the same height, location of Seed Pod does not matter. restart the nutrient timer before planting a new seed kit. light will blink once and timer is now reset. 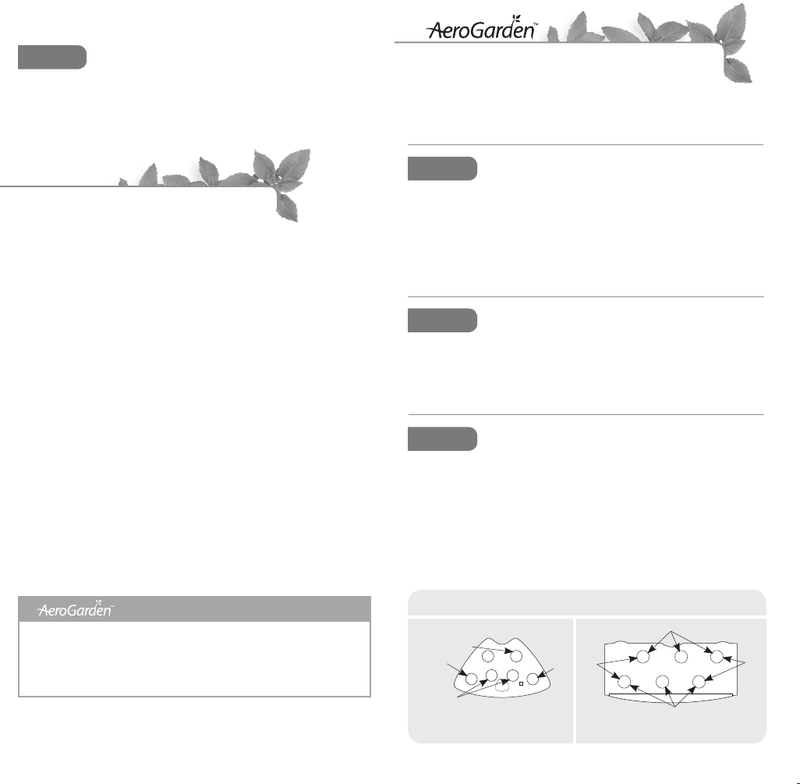 Quick Start Guide, you can nd one at www.aerogardensupport.com. • Set your Lamp Hood to the lowest position when starting a new garden. www.aerogrow.com, by calling 1-800-476-9669 or from your retailer. may “stretch” looking for light, or not ower or fruit as vigorously. what you want to grow next. Harvesting Guide for your garden visit: www.aerogardensupport.com.